The advertisement for Govt Sadiq College Women University Bahawalpur Jobs 2018 is come on today newspaper express. The last date of submission of form for Govt Sadiq College Women University Bahawalpur Jobs 2018 is 15 October 2018. Applications are invited from all over the Pakistan for Jobs in Govt Sadiq College Women University Bahawalpur. 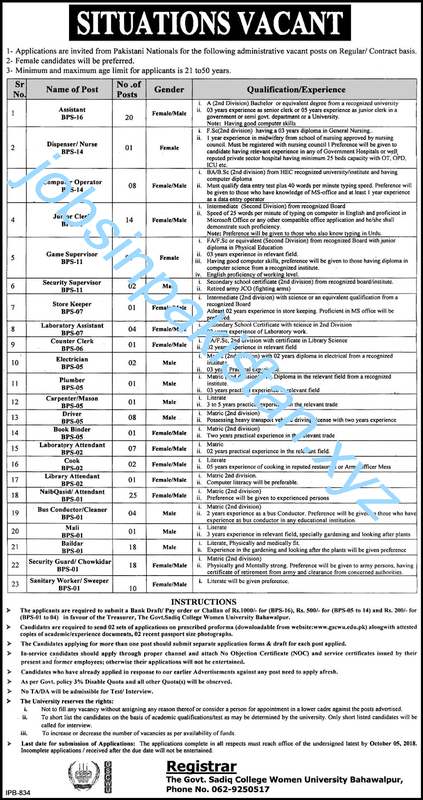 The advertisement for Govt Sadiq College Women University Bahawalpur Jobs 2018 is given below.